It's the most efficient tension wire grid on the market today. To support the new SkyDeck™ while preserving the MMNT’s beautiful Glulam design, a custom structural frame was required. The SkyDeck™ panels sit upon this structural frame. 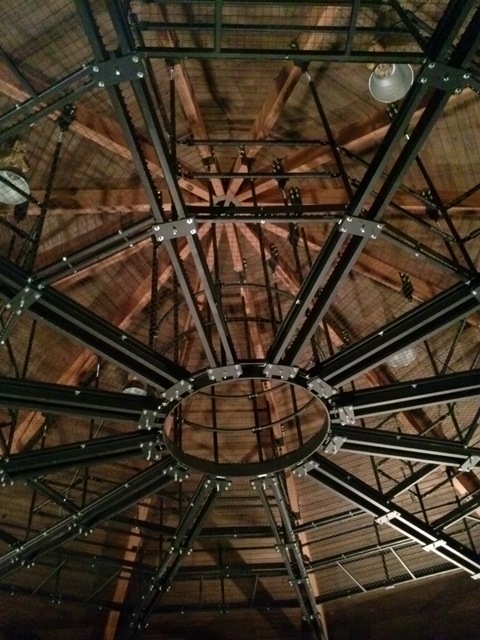 All the panels are tied together at the center of the performance space with a 6’ diameter tension ring. 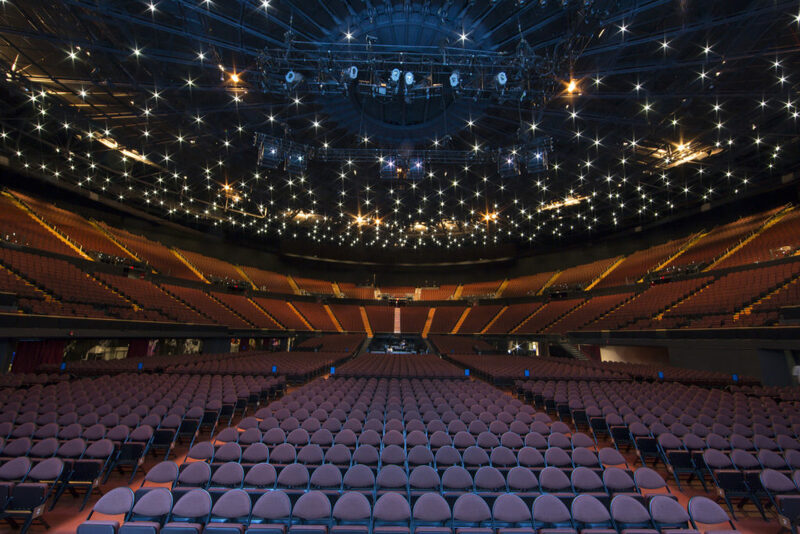 Open spaces were strategically designed into the overall walking surface, allowing the theatre department unprecedented flexibility for lighting and rigging effects. Seabury Hall, a college preparatory school in Makawao, on the island of Maui . 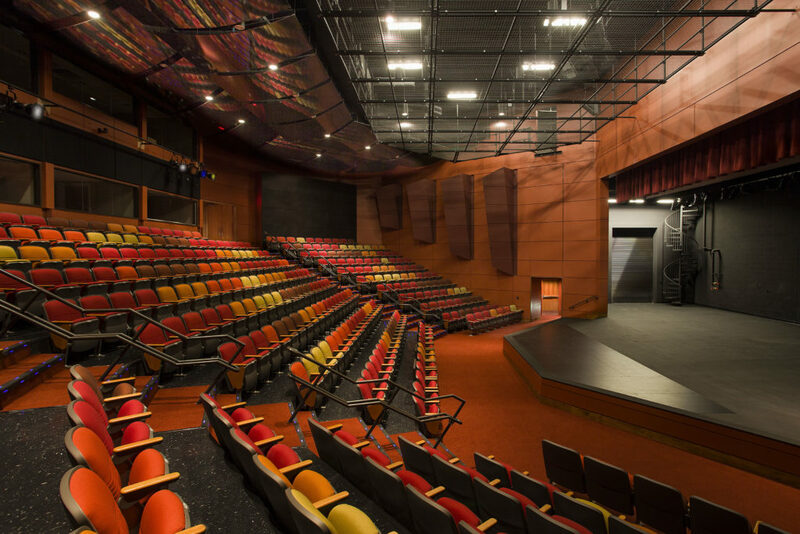 The A’ali’ikuhonua performance space is designed to have the capabilities of a high-end performing arts center with the flexibility of transforming into a space that will accommodate many types of theatre, dance and music performances. 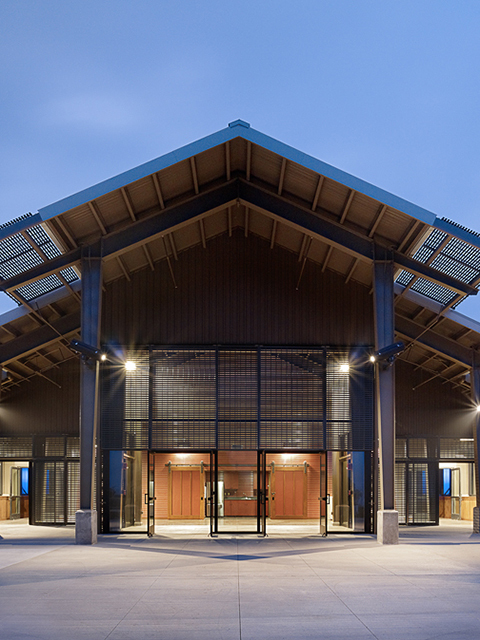 The structure, which consists of a utilitarian steel frame and roof overhangs, features broad windows that line the majority of the building. Specially designed fiberglass grating was used to create the shade panels that cover the exterior glass to help control daylight and allow for generous air flow. In addition, very large fans help facilitate the natural flow of air through the building and out through the clerestory openings. These elements eliminate the need for an HVAC system, including the clutter that ducts and heating/cooling equipment can cause. 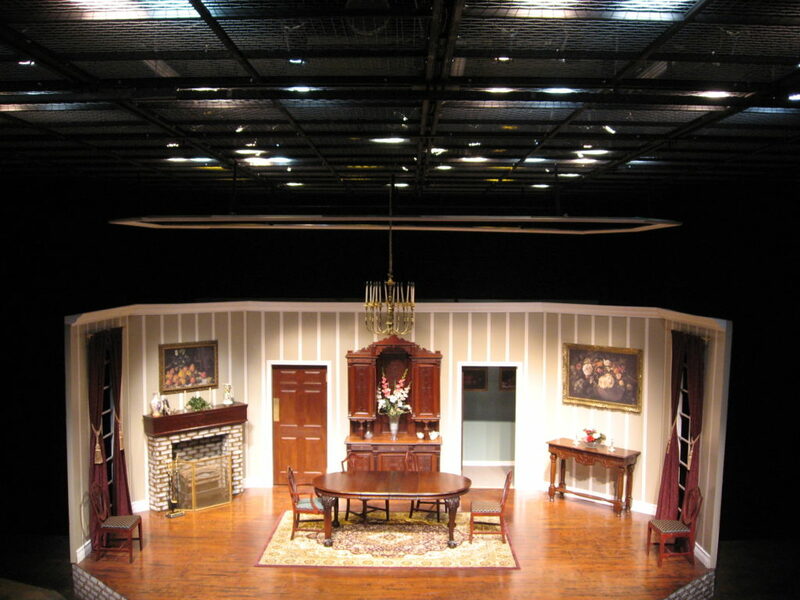 With a clean and clear ceiling above the audience, a feeling of openness adds to the overall elegance of the building. 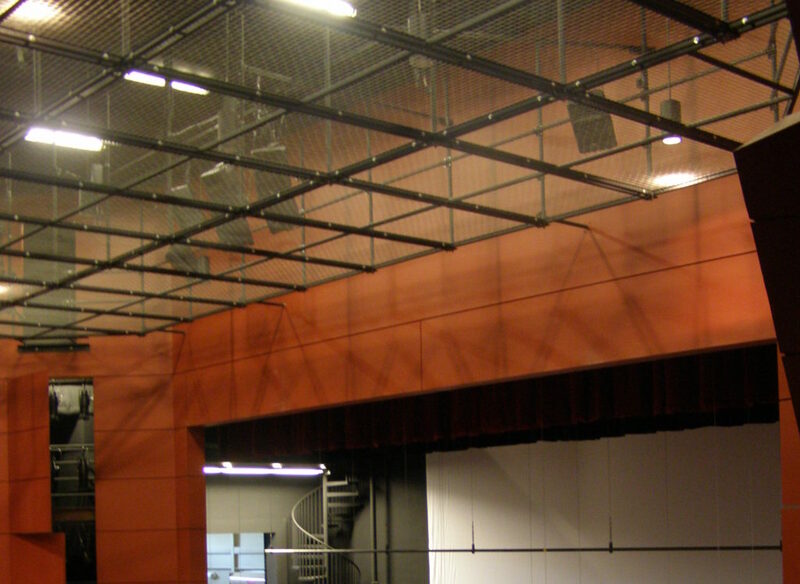 It was critical to create a safe working environment for students to access overhead lighting equipment without disrupting the design of the building. 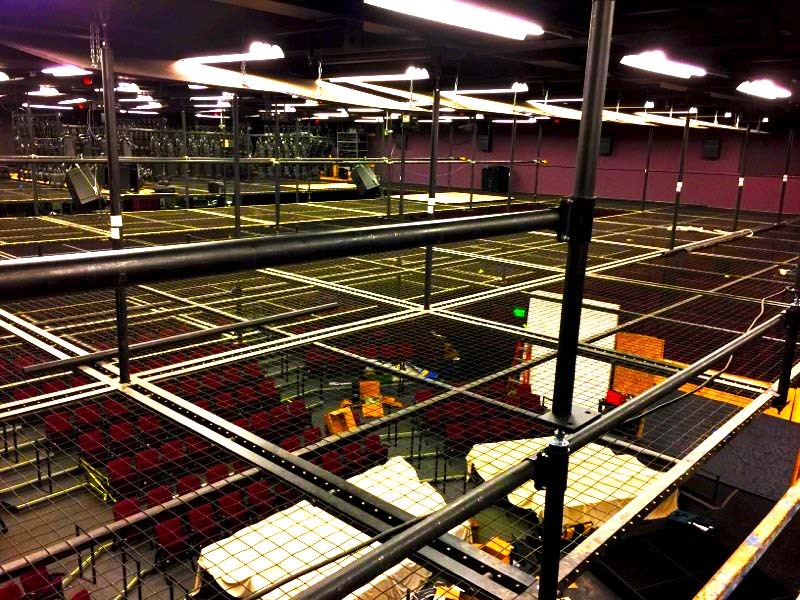 The SkyDeck™ tension wire grid system was the perfect solution for creating a safer alternative to traditional use of scaffolding or narrow catwalks. A transparent walkable surface that eliminates the fear of falling also allows air to seamlessly flow through it. SkyDeck™ works in harmony with the design, adding to the feeling of openness of the building. Midlands Technical College is a multi-campus, two-year college serving the Richland, Lexington and Fairfield counties of South Carolina, educating nearly 18,000 students annually. It is the fifth-largest provider of higher education for South Carolina and has the largest percentage of transfer students into four-year programs in the state. 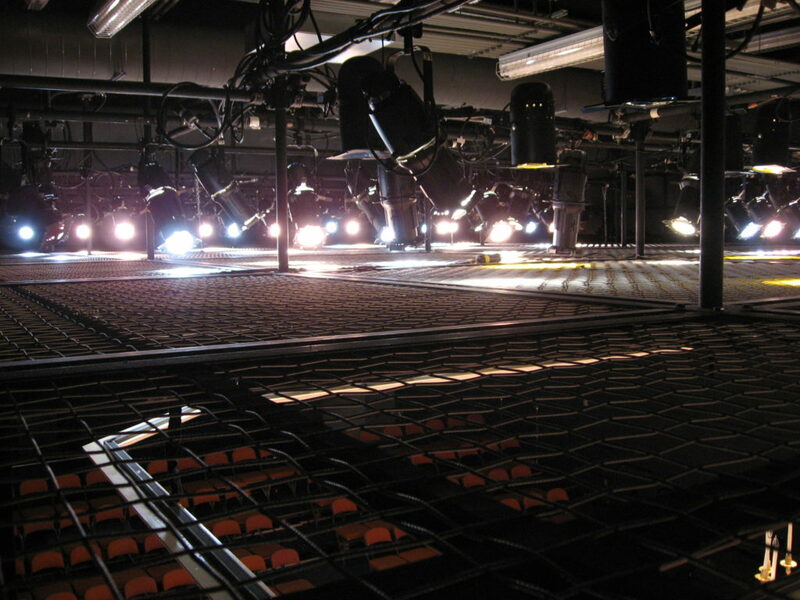 At the Harbison Campus, Midlands Tech offers a multitude of programs for the performing arts. Their mission is to encourage entertainment, education, and opportunity to individuals in all stages of their lives. InterAmerica Stage, Inc. provided a 1,556 square foot SkyDeck™ for the Harbison Theatre. The SkyDeck™ stretches over the front of house. 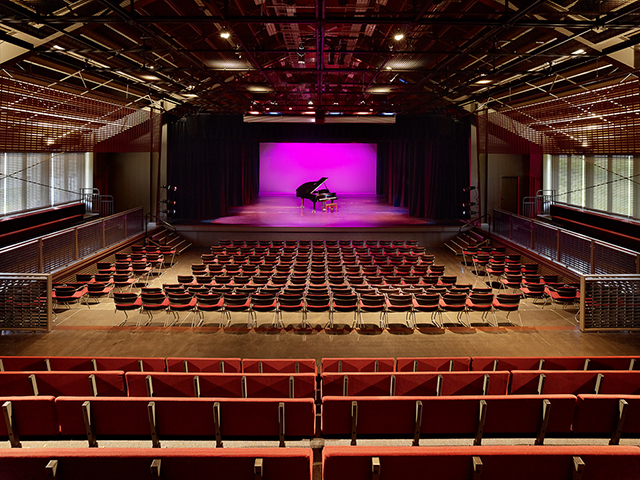 The Harbison Theatre is a state-of-the-art venue housing 400 seats. It is also highly successful, nearly selling out to every event, and offers a full season of performances that are open to the public. It also showcases national tours of dance, music, theatre, comedy, variety acts, and scholars. 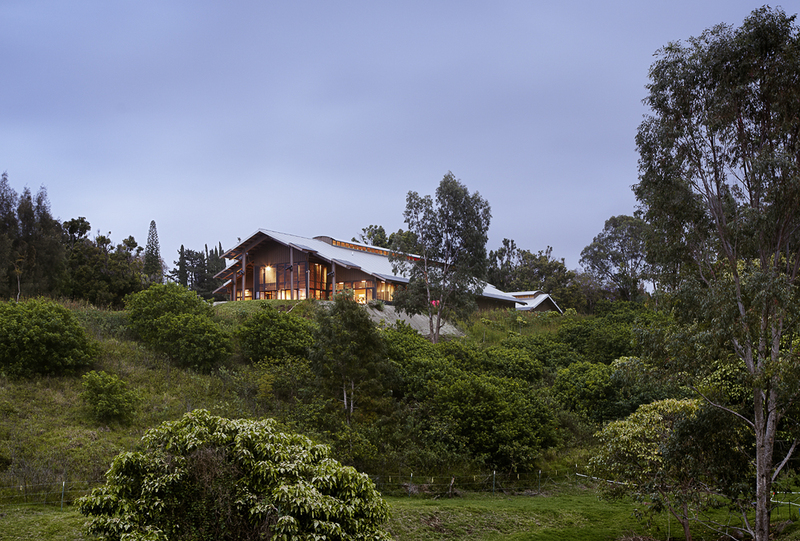 Architect: Watson Tate Savory Architects, Inc. 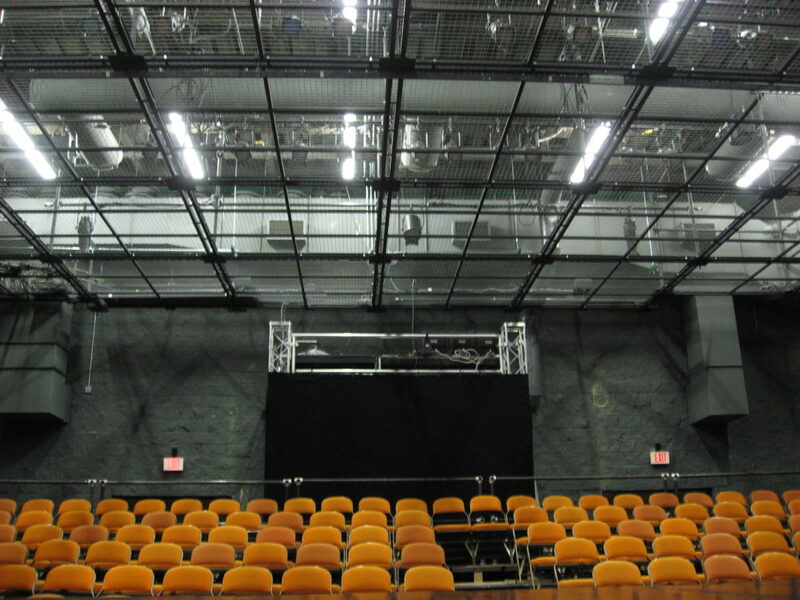 The Herbert and Nicole Wertheim Performing Arts Center (WPAC) is the home to the Theatre Department at Florida International University. 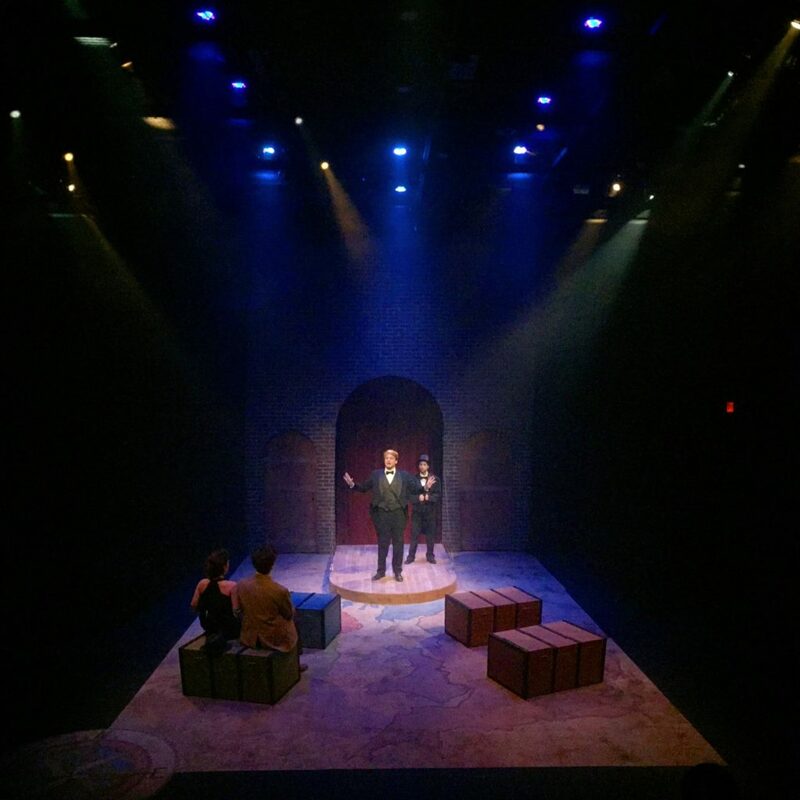 Located on FIU’s Modesto Maidique Campus (MMC), students have the opportunity to learn hands on through productions performed at the Theater Mainstage and Black Box Theater. 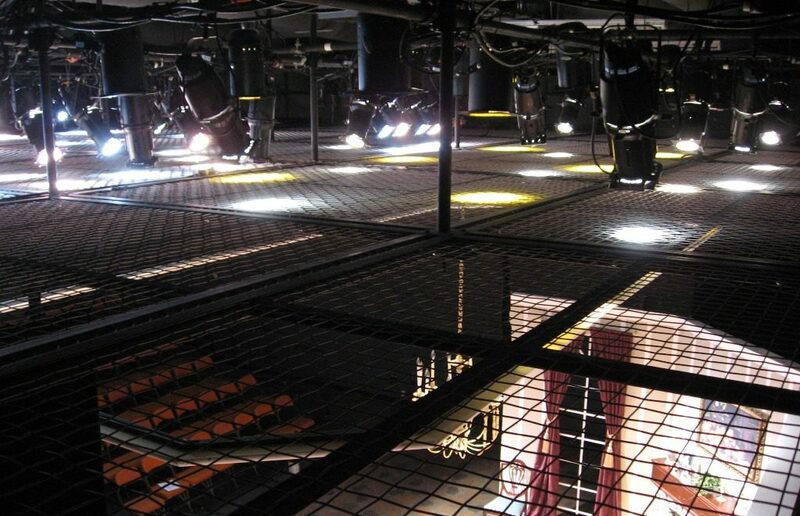 A SkyDeck™ tension wire grid system was installed in FIU’s 200-seat Black Box Theatre in 2004, further improving the flexibility inherent in a black box space. The 2,340 square foot grid is a wall-to-wall installation, allowing complete access to all overhead equipment anywhere in the space. The Department of Communication Arts at Lee University is one of the fastest-growing departments on campus. The University wanted to give the department a space of their own to be able to facilitate the growth of and nurture creativity with state-of-the-art equipment and facilities. 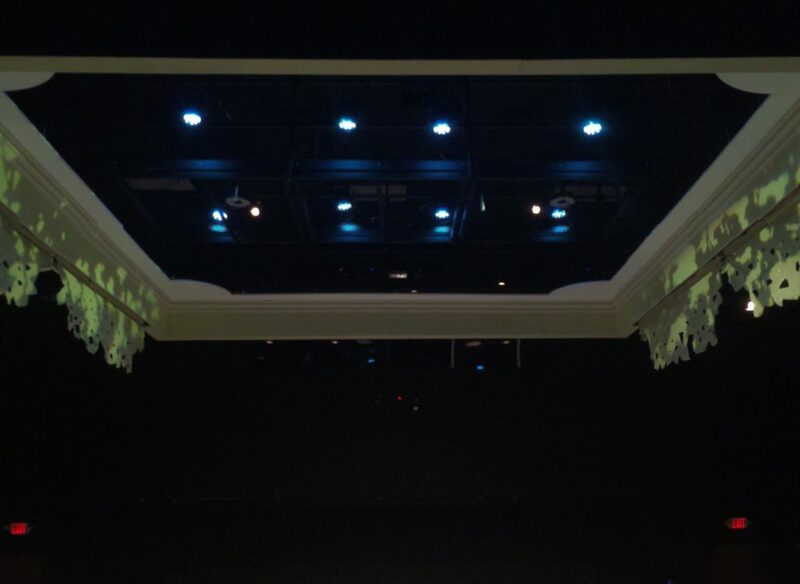 One of these facilities is a new black box theater for the Theatre Department which features a SkyDeck™ II. GC / Construction Manager: TriCon, Inc.
Due to Non-Disclosure Agreements, specifics for projects cannot be displayed. Broadcast studios and sound stages are clearly shifting toward having full coverage and safe access to overhead lighting. Safety Managers for cable and broadcast companies have already taken notice, and insist that SkyDeck™ grids be used in all new studio designs. In addition to full coverage SkyDeck™ grid systems, there is interest in replacing traditional green-beds with SkyDeck™ riggable truss modules. Detroit is known for many things. It’s the Motor City, the Arsenal of Democracy, and the birthplace of Motown. 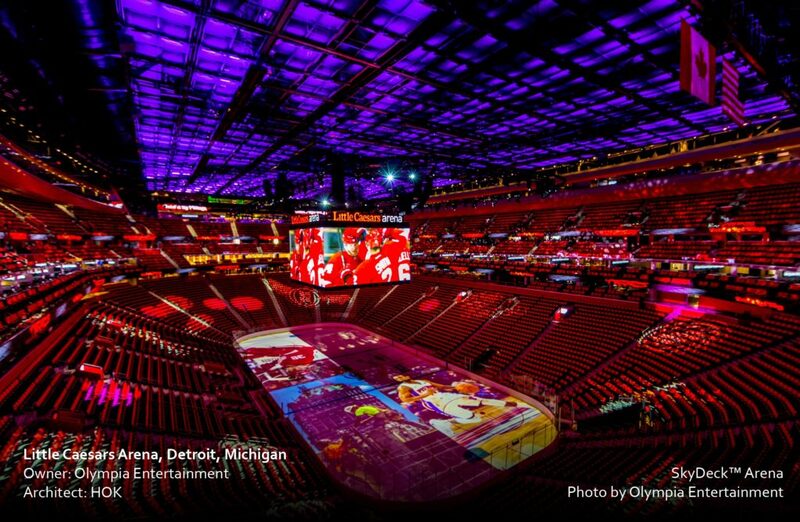 It’s home to four major sports franchises: the Tigers (MLB), the Lions (NFL), the Pistons (NBA), and the Red Wings (NHL). It’s the fourth largest city in the Midwest and now, it’s home to the largest SkyDeck™ tension wire grid in the world. 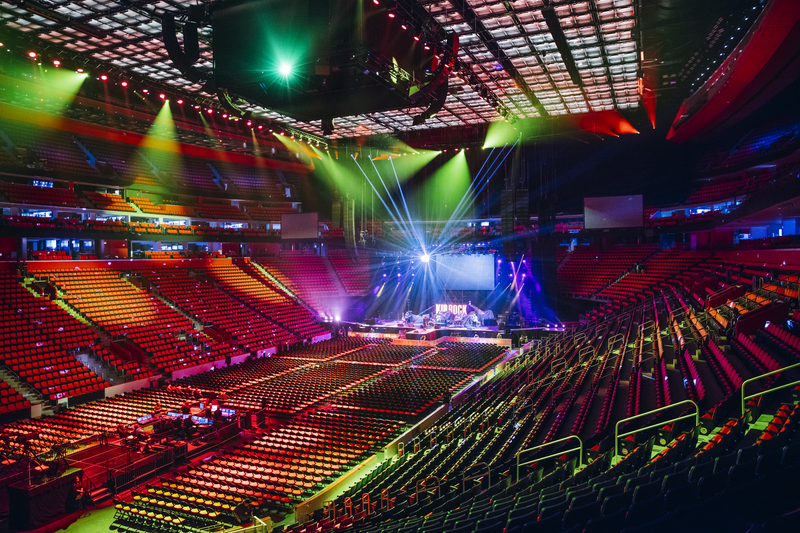 “For years, I’d been thinking of how perfect SkyDeck™ would be in large arenas for overhead access,” said Black. 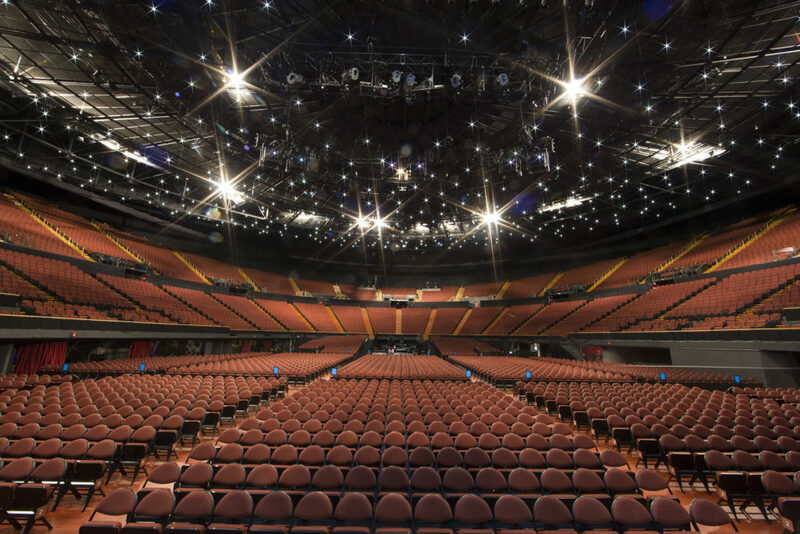 His vision came to fruition with the renovation of the Fabulous Forum in Inglewood, CA, in 2013. 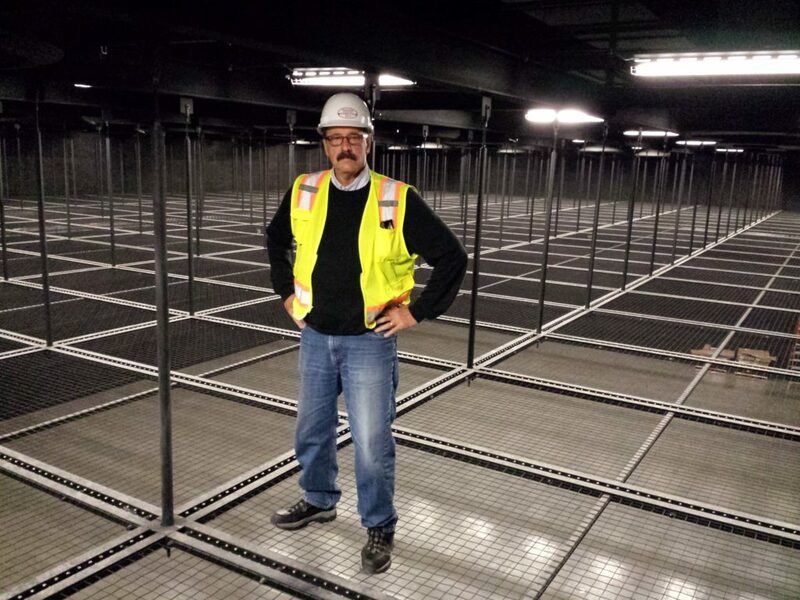 When the Forum opened its doors in 2014, the 34,000-square foot grid was the largest SkyDeck™ tension wire grid in the world. 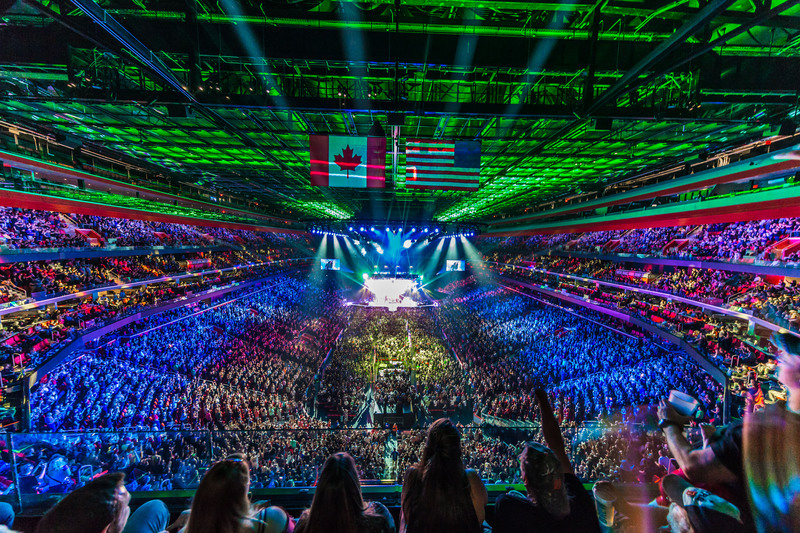 InterAmerica beat its own record with the Little Caesars Arena’s full-coverage grid. Comprised of 372 modular panels that weigh in around 205,000 pounds, the grid covers over 43,000 square feet. It took approximately 81 miles of aircraft cable to create the walking surface. Photos courtesy of Olympia Entertainment. 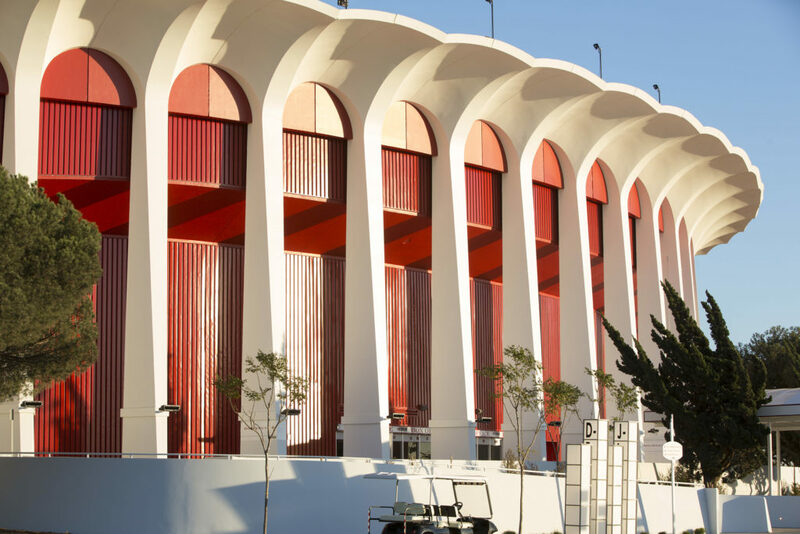 The Fabulous Forum in Inglewood, CA, re-opened its doors as the only arena in the nation dedicated solely to music and entertainment. 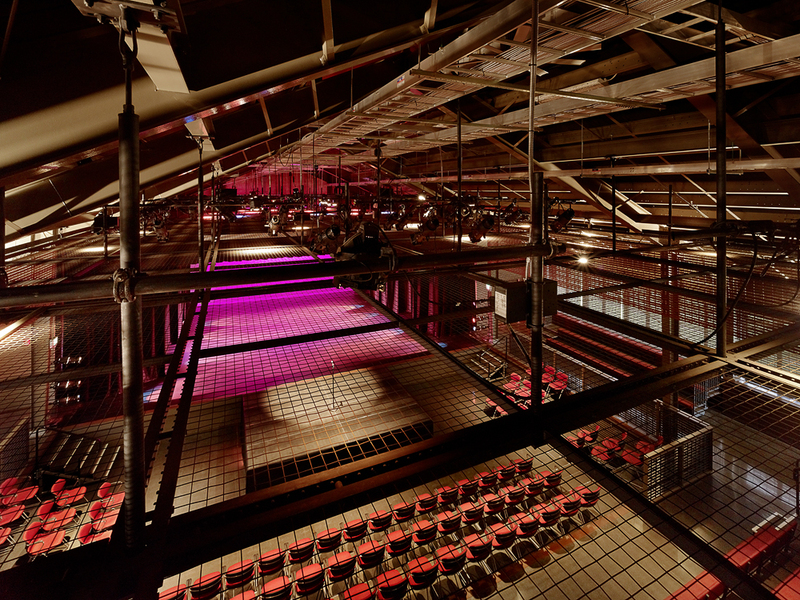 The venue is home to the second-largest tension wire grid system in the world. 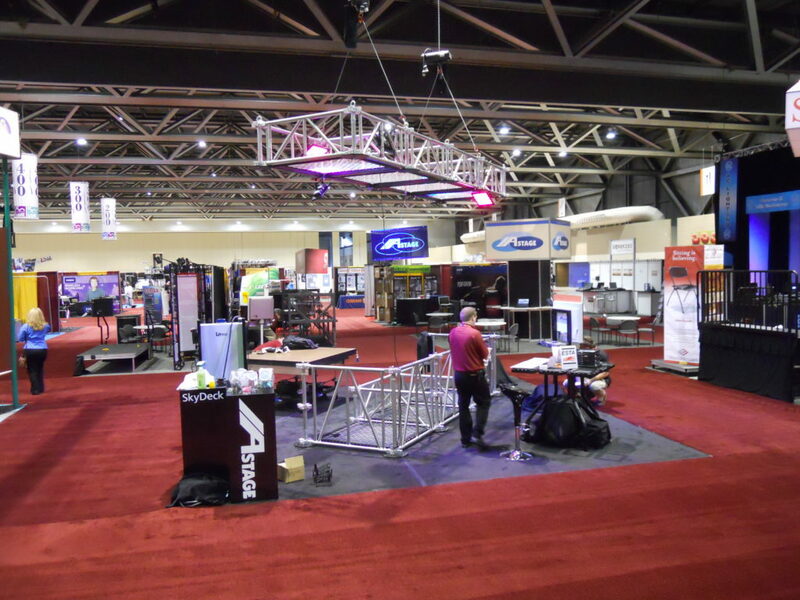 SkyDeck™’s safe walkable surface adds additional benefit to the venue. The woven wire work surface covers 34 thousand square feet, allowing any rigger to reach any access point safely and easily. 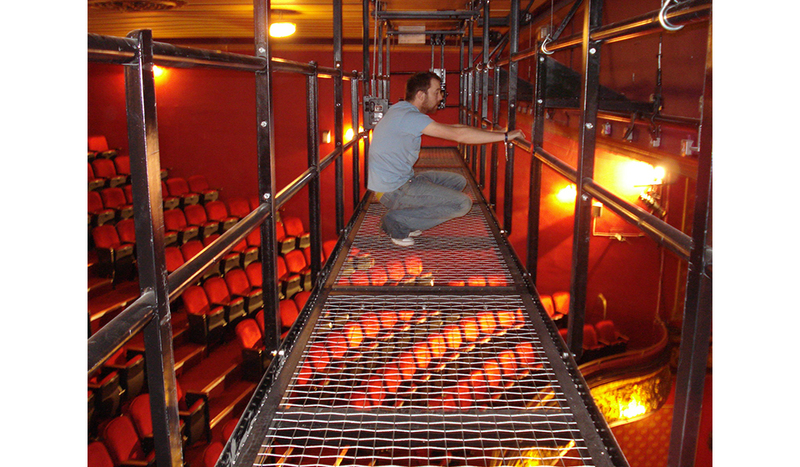 As part of the National Development Plan 2007 – 2013 “Transforming Ireland,” the Everyman Palace Theatre closed its doors between August 3rd and September 15th of 2008 to make improvements to the technical equipment and to install new seating to enhance the audience’s experience. The Everyman Palace Theatre, then known as the Cork Palace of Varieties, reflects its Victorian style in its interior with the impressive ornate proscenium arch, boxes, and balcony, along with the ceiling which is composed of decorative plasterwork. In 2003, the 111-year-old Victorian building underwent restoration to revamp these to their former glory. 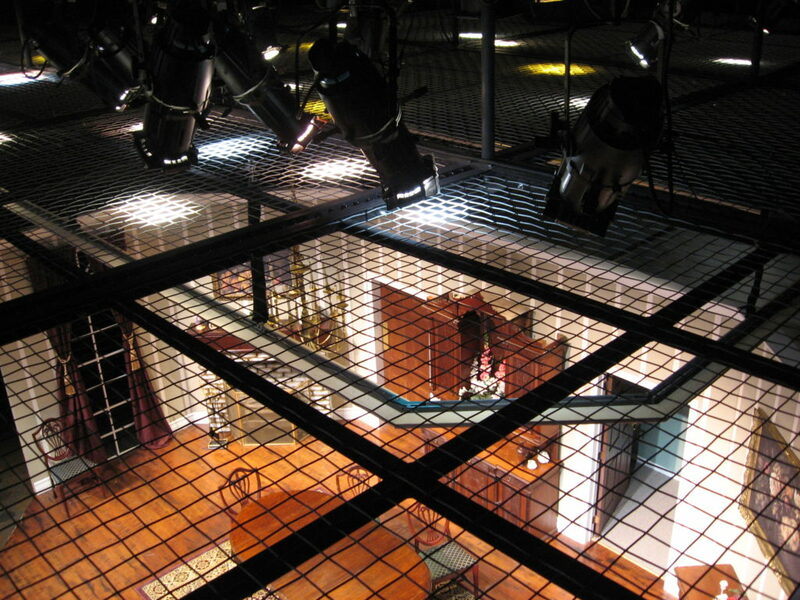 As part of the refurbishment of 2008, IA Stage’s partner, Hall Stage, provided a SkyDeck™ tension wire grid system as a lighting bridge. 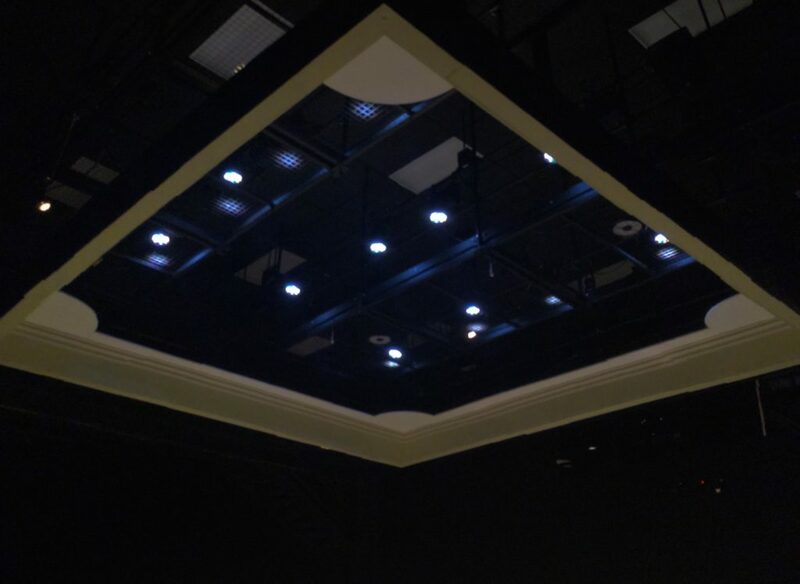 Five 1m x 2 1/2m panels make up the bridge that allows access to the front of house lighting. Unlike a standard SkyDeck™, these panels are attached to a supporting framework that allows the panels to be removed as necessary. 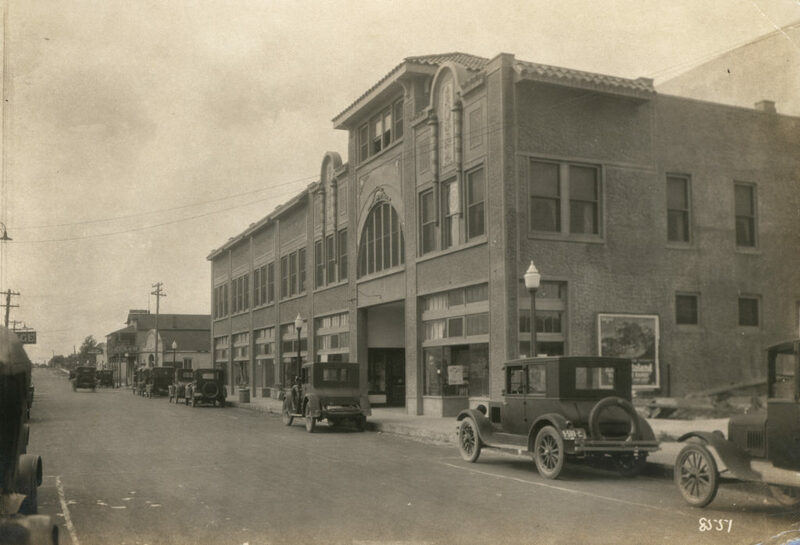 The Everyman Theatre moved from a converted bowling alley, which served as their home for many years, to their newly renovated, state-of-the-art theatre building at the beginning of 2013. 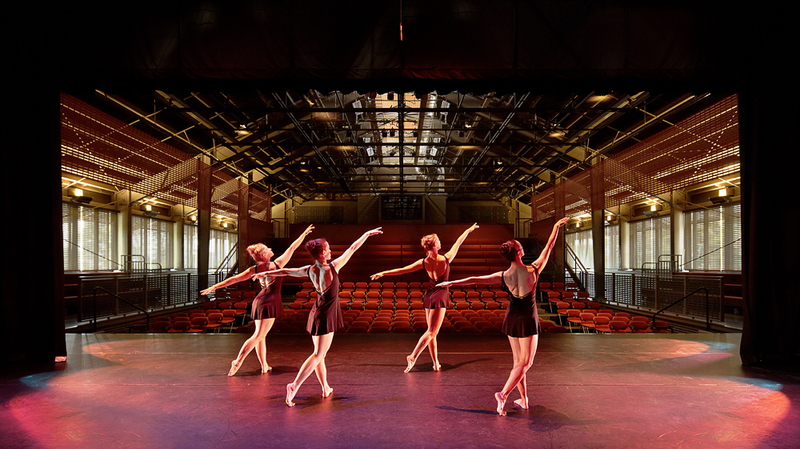 A complete restoration and renovation of Baltimore’s long-abandoned Town Theatre allows the company to expand their capabilities and improve the quality of performances offered to the public. 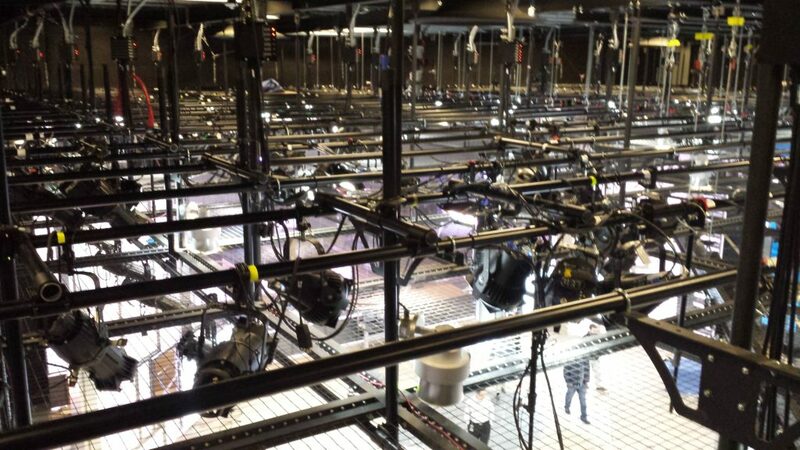 The new facility features a scene shop, costume and props facilities, educational spaces, and a 235-seat theatre ,with more room to grow in the future. 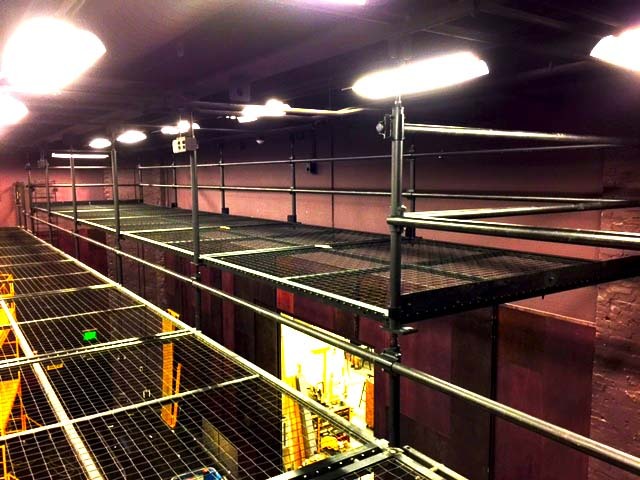 A SkyDeck™ tension wire grid system was installed wall-to-wall on three sides. The Everyman Theatre project received two 2013 Baltimore AIA Excellence in Design Awards; Michael F. Trostel FAIA Award for Excellence in a Historic Preservation Project, Honorable Mention in the category of Architectural Design. 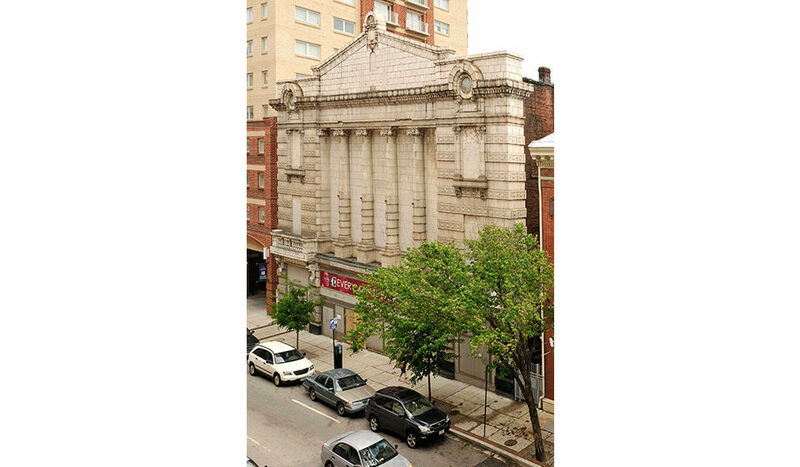 It is also the recipient of the 2013 Baltimore Heritage Award for following the Baltimore City Green Building Standards. 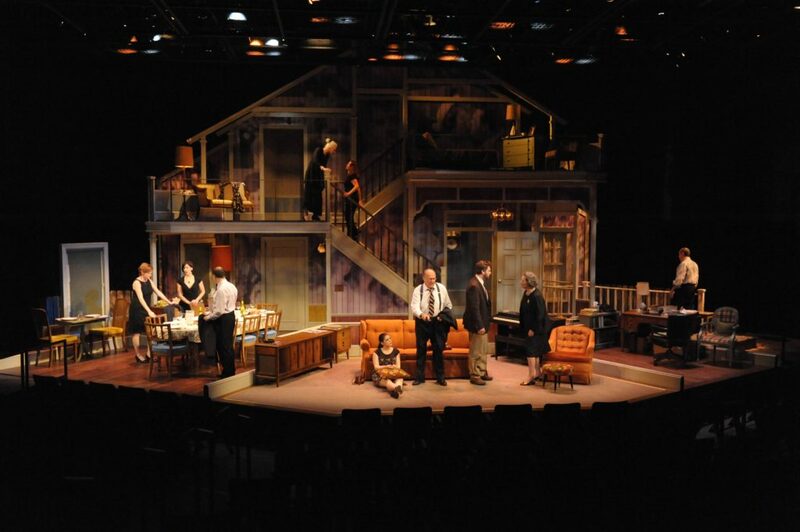 Consultant: Theatre Projects Consultants, Inc.